A small independent holiday company specialising in offering high quality kayaking & canoeing experiences on the Ardeche River. Bespoke activity holidays for families, couples and groups in the Ardeche, France. In addition we run a small private campsite based in Vagnas near Vallon Post d’Arc. Visit a fantastic part of Europe with a friendly and customer service focused company. The Outdoor Experience, the original providers of The Two-Day Kayak Descent! Here at The Outdoor Experience we specialise in offering bespoke guided kayak/canoe descents of the Gorges de l'Ardeche. We have been offering our main two-day trip for 6 years now; small groups, good food and a personal touch. It's safe to say we organise the best two-day descent on the Ardeche River. we provide hearty and healthy lunches on all our activities. WELCOME TO THE OUTDOOR EXPERIENCE! A stunning 32km guided kayak descent down the beautiful Ardeche River. Conquer rapids, rock jumps and even a cave swim. A short 8km guided kayak descent down the Ardeche river's most popular stretch under the iconic Pont D'Arc landmark. Develop your paddling skills; canoeing or kayaking, with our qualified instructors in the heart of the beautiful Ardeche. Information about what's at the Bivouac site, what we provide and what you need to bring. 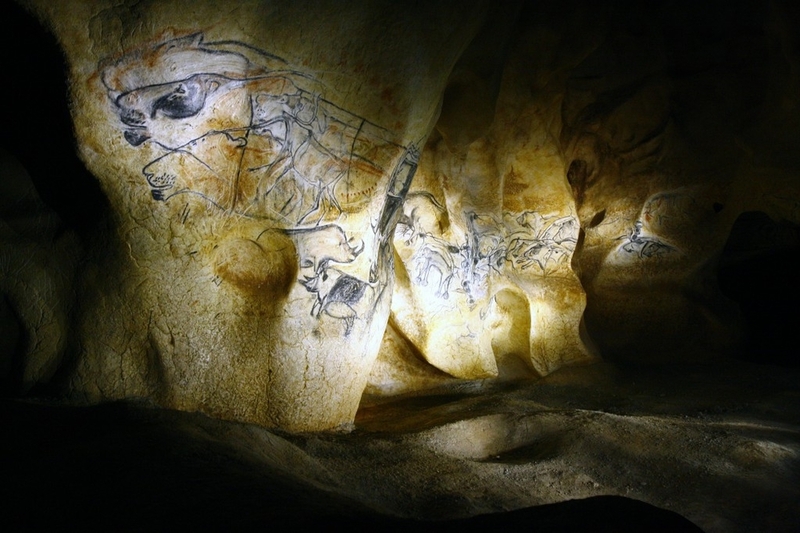 The replica cave opened in 2015 to the general public; an incredible exhibition. We've been to see it and we recommend you do too! The Ardeche river’s beauty will take your breath away. A great adventure for the kids! Activities are suitable for adults and children, a great way to create amazing memories and experiences. Join The Outdoor Experience for fun and adventure! Discover the great outdoors within a safe and fun environment under the supervision of our qualified and extensively experienced staff. But most of all because we want others to fall in love with the Ardeche just like we did. Over 600 Happy guest guided down the river this year. Next year is going to be even better!